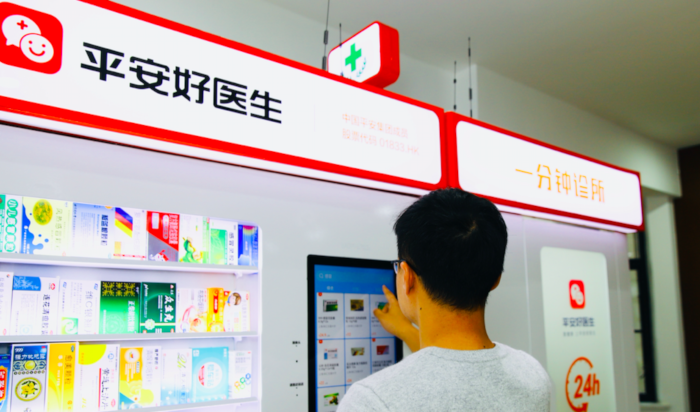 In the near future, One-minute Clinics will be launched in more public areas, including shopping malls, airports, and train stations, which will complete the medical service circle in cities. China’s one-stop healthcare ecosystem platform, Ping An Good Doctor, recently stationed a "One-minute Clinic" at Shanghai Jiao Tong University. This new offline service scenario provides teachers and students with an alternative option to the medical clinics on campus. As the first unmanned clinics currently in commercial operation in China, One-minute Clinics utilise Ping An Good Doctor's mobile healthcare and AI technology, and integrate a variety of smart medical examination devices, connecting with more than 1,000 in-house medical personals and nearly 5,000 renowned external contracted doctors. The clinics provide users with one-stop medical and healthcare services, including consultation, rehabilitation guidance, medication recommendation, and medicine. In January 2019, Ping An Good Doctor launched its One-minute Clinics across 8 provinces and cities in China and signed service contracts for nearly 1,000 units, providing healthcare services to more than 3 million users. In its 2018 annual report, the company stated that their number of registered users had reached 265 million. “In response to young students and campus employees' needs, the One-minute Clinic prescribes drugs that are relevant to the daily habits of people on the campus, such as eye drops, antidiarrheal drugs, Band-Aids and other common drugs for students, and menthol pills and pharyngitis tablets for teachers,” said a Ping An Good Doctor spokesperson in a statement.